Almost all people find themselves in need of storage at least once in their lifetime. 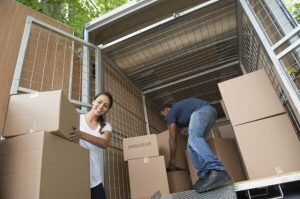 Whether it is for moving to Ohio or for simply decluttering their home for a while, a storage unit can be of great use. But, in order for you to get the best storage services possible, you need to work with reliable storage providers. Luckily, when it comes to storage Hillard Ohio, we are here to provide you with any and all storage services. We will happily help you store your items for however long you would like us to. Furthermore, we will give you crucial advice on how to prepare your items for storage so that they remain in the same condition throughout the storage period. With proper storage, you will be able to store your items safely and soundly for as long as you like. In order to properly use storage services units, you need to be aware of how they work. While the procedure for getting a storage unit, once you have picked out your company, is pretty straightforward, we feel that we should guide you through it nonetheless. What you should be aware of right away is that if you hired us you are done with 70% of successful storage. And that is finding reliable storage providers. The first thing you need to is to contact us. Do this before you start packing. Our representative will come over and talk to you about all the different storage options. Most of which you probably aren’t aware of. Once you are familiar with them, you might want to rethink the way in which you are going to pack your items, as certain containers will allow you to use your storage unit in different ways. Therefore, you should contact us the moment you realize that you require storage Hillard Ohio. That way you will be able to plan it properly. As you can easily realize, here at Zippy Shell Columbus Moving and Storage, we offer many types of storage services. From military storage to student storage, we will have you covered. We also provide with both long term and short term storage. Therefore, you need to check us out online or talk with our representative in order to figure out what type of storage Hillard Ohio will be right for you. Figure out which type of storage Hillard Ohio works for you, so we can provide you with the best service possible. Once you have talked with our representative, we suggest that you pick a proper storage unit. Only by doing so can you truly figure out how to utilize one and which items you can store. Storage units Hillard Ohio can vary in size and insulation. Some are more suited for short-term storage while others are better suited for long-term storage. 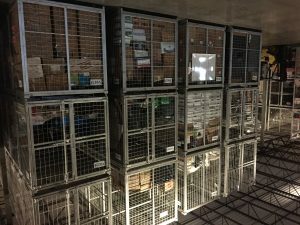 There are even climate controlled storage units which regulate the temperature and moisture levels of the storage unit. There are multiple options for you to choose from, and we will make sure that you get the best one for your storage needs. Once you have figure out which storage unit you are going to use and for how long you are going to use it for, it is time to deal with packing. What you should realize is that there is one thing that doesn’t change whether you use storage services is Hillard or storage services in Columbus, Ohio. There is no safe storage without proper packing. Therefore, you need to know how to pack yourself. Go through our comprehensive guideline and make sure to be thorough. A simple misstep in packing can have catastrophic consequences. You should also know that if you get stuck or are unsure how to approach packing something, worry not. We provide packing services along with storage. After talking with our representative you should have a clear idea on how much boxes you will need. There are many ways in which you can get boxes for storage. You can visit your local stores and ask them to save you some. Or, you can go and buy the boxes you need. What we always suggest is that you keep the safety of your items as your number one priority. Especially if you are storing your items for a long time. Do not let a couple of bucks make the difference between you safely storing your items and ruining them. Do yourself a favor and look into getting quality packing containers. That way you will increase the safety of your items tremendously. Good boxes will help you store your items safely. Especially if you plan to use storage for a long time. Almost all items need padding in wrapping in order to survive storage. There is just no way around it. Make sure to get good quality padding and wrapping materials and that you use them properly. Every item needs to be protected from both weather conditions and possible physical harm. You especially need to do this is if you store fragile and/or valuable items. Only with proper padding should you expect them to remain intact throughout storage. We also suggest that you talk to our representative about different insurance possibilities. Not all items should be ensured in the same way, and we would like it if you found the one that suits you best. Finally, you need to label your boxes properly. Make sure that the content of every box is clearly visible. Mark if the content is fragile and/or heavy. This will prevent moving mishaps that may cause damage to your items or may even cause moving accidents. Therefore, you should make sure to take care of it. If you are not certain on how to approach it, call us. You’d be doing both us and you a huge favor. We will give you all the necessary guidelines for you to label your boxes adequately.